With Her Smell, Teen Spirit and a little something called A Star Is Born, there were no shortage of female rock stars headlining movies at this year's TIFF. As if that weren't enough, the fest also offered a first glimpse at Natalie Portman's next buzzworthy turn fronting Vox Lux. Also starring Jude Law, the film was directed by Brady Corbet, the Funny Games actor who is now helming films of his own. Based on its first trailer, Vox Lux looks to be one hell of a journey. 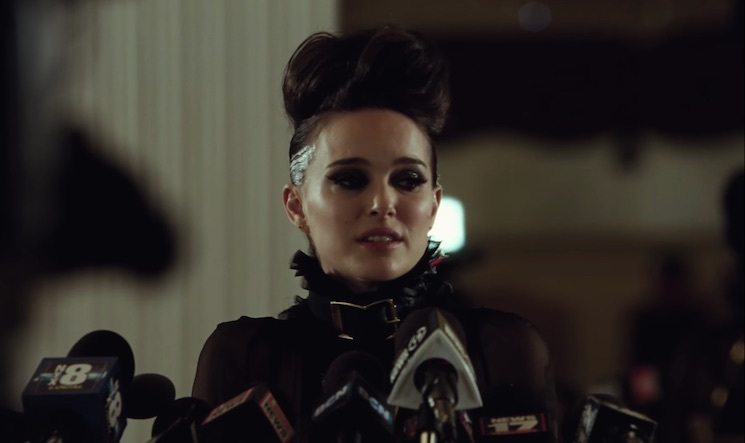 Watch the trailer for Vox Lux below. The film hits theatres on December 7.